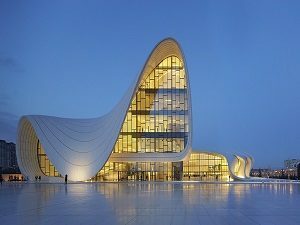 This Combined Tour offered by Iran Destination, Iran Travel Agent, and World Travel, Azerbaijan Travel Agent, is the best choice to see two famous and touristic countries in one low cost trip. Our Combined Tour includes all the touristic sites of Iran and Azerbaijan, which all tourists wish to see in their lives. So during 16 days, you have the opportunity to visit the famous highlights of Iran and Azerbaijan, some of which date back to the same era, as they were all in one country in ancient times. If you are looking for a time travel to ancient Persia, take this Combined Tour. Tomb of Hafez, The great Persia poet famous all over the world. Tomb of Saadi, Saadi is another Persian poet and one of his poems is inscribed on United Nations building. Nasir Al molk mosque, also known as the pink mosque, is where light and color present a romantic show. Vakil Mosque, Vakil mosque has a breath-taking architecture dating back to Zand dynasty. Vakil Bazaar, Vakil bazaar is one of suitable places to buy Persian souvenir, especially Persian carpet. Vakil Bath, is a large public bath in Shiraz dating back to Zand era. Karim khan Citadel, this citadel is built by the order of Karim Khan, when Shiraz was the capital of Iran during Zand dynasty. Shah e Cheragh Holy shrine, this is one of the most attractive holy places in Shiraz and in Iran which is breath-taking to all tourists. Fin Garden, This is another famous Persian Garden registered on UNESCO. Tabatabaei House, This house is so beautiful that is known as the bride of Persian historical houses. Golestan Palace, this royal palace dates back to Qajar era and includes different luxury items. Early in the morning, Our Iran Travel Agent, we will drive to Astara and enjoy the nature in north of Iran, passing through different places such as Fouman and Masal. This is the day you will pass through the border of Iran and Azerbaijan at Astara border. World Travel Agency picks you up at the border and you’ll be transferred to Baku. Highland Park – City tour begins with a visit to Highland Park. Highland Park is located in a hill of western part of Baku. Travelers enjoy of panoramic view to the city and Baku Bay here. Old City (Icherisheher) – Old City or Inner City is historical part and heart of Baku. Old City is listed World Heritage Site by UNESCO. Travels will visit here many attractions of Old City, including Maiden Tower (IX century), Palace of Shirvanshahs (XV century), Walls of City (XII century), Karvansaray and etc. Walking in Nizami street and Fountain Square – Nizami Street is home to various outlets, from banks to fashion stores and is one of the most expensive streets in the world. The street also accommodates the embassies, theaters and etc. Carpet Museum – This unique museum has the richest collection of Azerbaijan carpets in the world. Dendrarium Park in Mardakan – Area of the dendrarium is 24 hectares. The Dendrarium is listed among the world’s richest collections for the number and age of flora species. About 1,800 species including 1,540 plant types and breeds both from Azerbaijan and many other countries are being introduced to visitors. Mardakan Castle – The castle was built in the middle of the XII century. The castle was used as a shelter and observation point. Yanar Dag (Burning Mountain) – Burning Mountain is considered as “eternal fire” and fulfills the trip with unique and interesting experience. In the 13th century Marco Polo mentioned numerous natural-gas flames spurting spontaneously from the Absheron Peninsula. On the way drive to Maraza for visiting Sufi Dervish Diri Baba Mousaleum. Visiting Lahij. Village Lahij built in the V century B.C. on the canyon of the river Girdimanchai (Upper Caucasus). Lagich has preserved its trade and craft center up to now. You can meet there unique handmade items from copper, adorned with carving in the form of oriental ornaments, knitted and weaved goods, wood and leather ware, souvenir knives and many other. Walking around the Gabala, visit to “Gabaland” – Leisure Centre in Gabala – «Gabaland» due to its size and a number of attractions is called “Azerbaijani Disneyland.” There has been built an amusement park equipped with slot machines of British, Italian, German production, 6D attraction, «Laser Maxx” playground of 1,000 sq.m. There are two tracks for racing cars, motorcycle track, skating rink, swimming pool, volleyball, football and basketball playgrounds, a fitness centre, etc. There have been provided seven artificial lakes, cafes and restaurants in “Gavaland”, offering dishes both Azerbaijani and world cuisine. Visiting Albanian church in the village Nidzh. The village of Nidzh , not far from Gabala, is known for a unique architectural monument of the Caucasian Albania – Udin Temple. Waterfall Yeddi Gozel, which means Seven Beauties. Visiting the Palace of Sheki Khans – the palace erected in the XVIII century without a single nail (!) with magnificent wall paintings and tracery windows in the stone citadel. This ornate 1762 palace building features vivid murals and dazzling coloured light streaming through Shabaka (stained-glass) windows making it Sheki’s foremost ‘sight’. Visiting Albanian church in the village Kish. The brilliantly renovated round-towered Albanian church in pretty Kiş village has been lovingly converted into a very well-presented trilingual museum. It’s the best place anywhere to learn about mysterious Caucasian Albania, the Christian nation that once covered most of northern Azerbaijan. This is the end of our Combined Tour. You will be transferred to the airport for departure.